With a definition of the fact of two things being seen or placed close together with contrasting effect, the theme this week for WordPress’s photo challenge is juxtaposition. My response takes us to the National Mall in Washington, D.C., on America’s Independence Day. On the Fourth of July (the 2013 version), the Smithsonian Institution was hosting its annual Folklife Festival. This is a yearly gathering where the Smithsonian picks (usually) an international culture, an American culture, and a government agency to highlight. 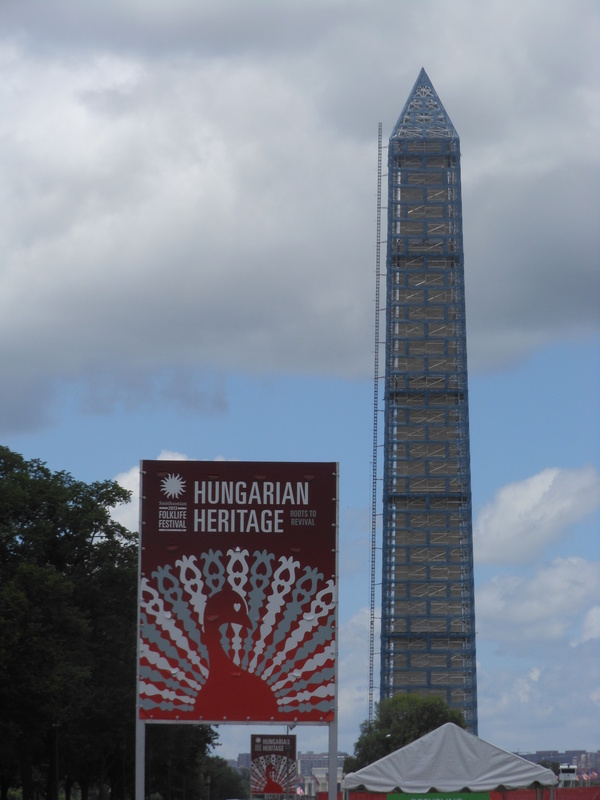 In 2013, the global culture the Folklife Festival shone its spotlight on was Hungary. 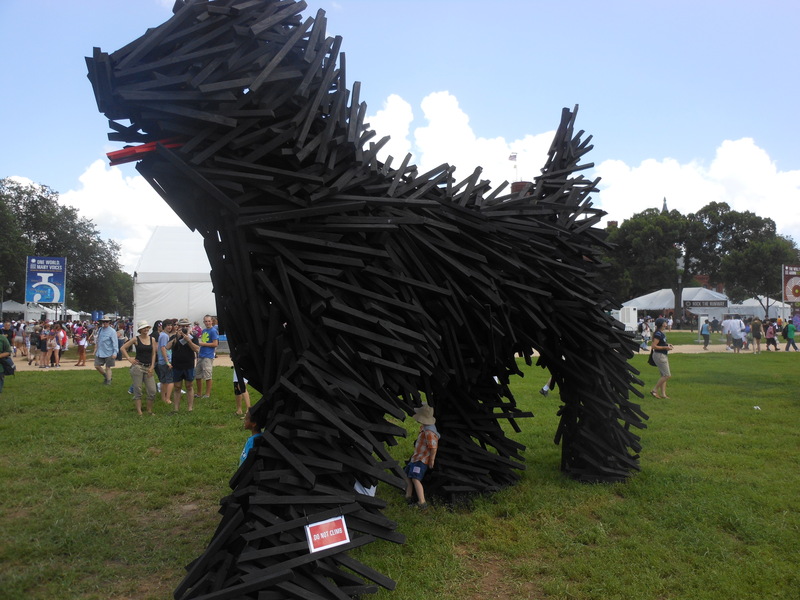 I don’t know where this picture fits in the Hungarian culture, but one of the items showcased on the National Mall was this gigantic dog made out of stacked (and painted) planks of wood. The juxtaposition here is the size of the dog compared to the size of the child underneath. Usually, it’s the other way around. Wherever you’re from, hope you enjoy.